David Leonard (formally of All Sons & Daughters) the writer behind songs "Great Are You Lord," "All The Poor and Powerless" and "God Who Moves The Mountains" returns with his first solo album, The Wait. Steeped in a sense of worshipful longing and wrapped around themes of identity and God's faithfulness, The Wait is David's story told in song. The 12-track studio recording captures a season in David's life -the good and bad, questions and hopes -sung from the perspective of a husband, father, friend and child of God. 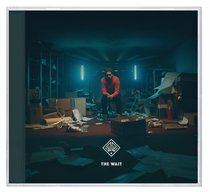 "I am reminded from where You have brought me / And where You have placed me for today / I won't forget that Your hand will hold me / Your love sustains me through the wait"
Customer Reviews For "The Wait"